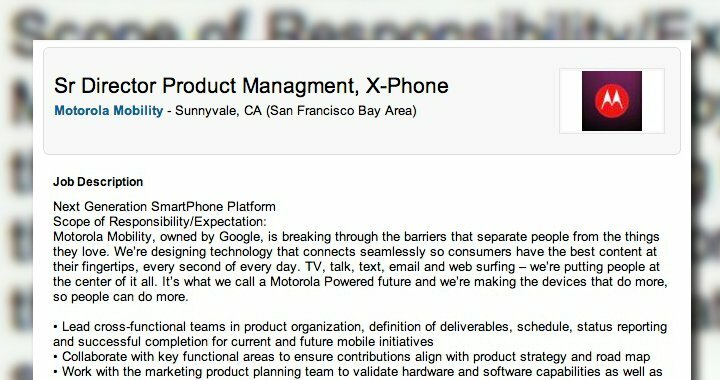 The Motorola X-Phone takes one step closer to legitimacy today as details of a LinkedIn job posting seemingly confirmed the device. The listing, which has since been yanked down, was for a Senior Director of Product Management, X-Phone, and spelled out various roles. Key among the details were mention of multiple and future products, software updates, and working with carriers on customization. It’s not as if we weren’t already on board with the project, however we’re more than anxious to learn more. 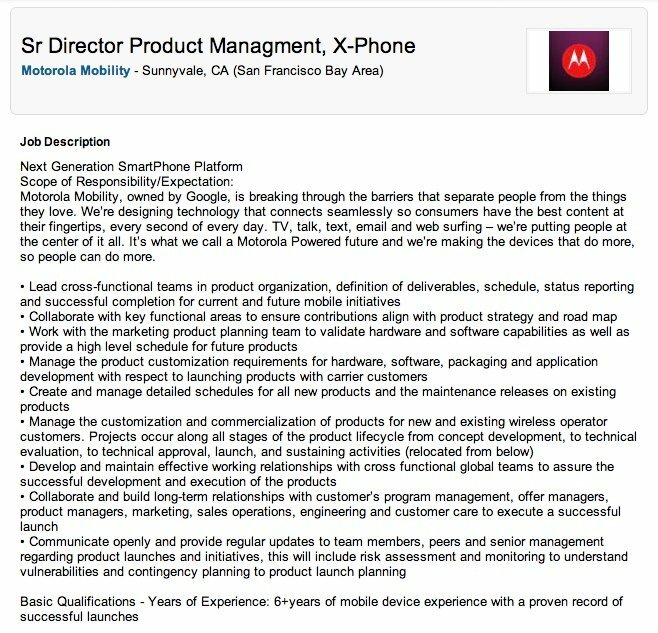 Given Motorola is seeking a Product Manager and not a Project Manager we could soon see a slew of new details. People gotta test these out, right?